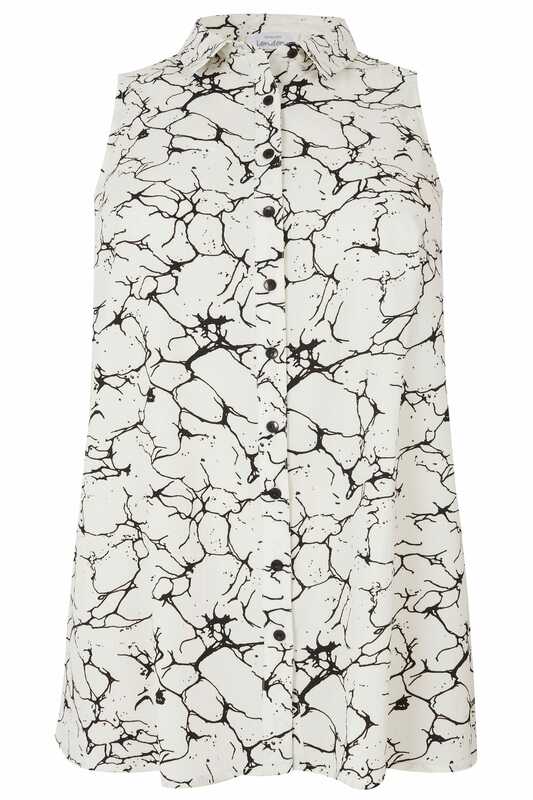 Update your smart-casual wardrobe with this sleeveless shirt. In a shape flattering longline style, its woven from a textured fabric and is secured with button fastenings. Team with dark denim or tapered trousers for a chic desk-to-dinner look. 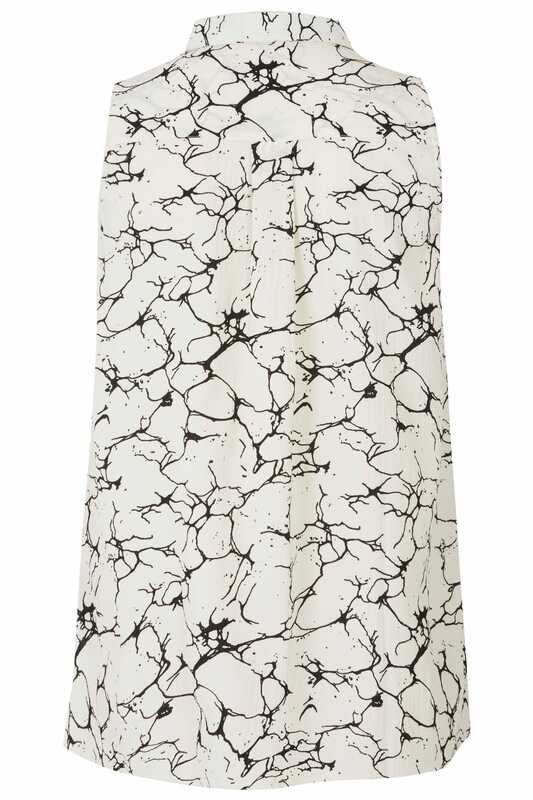 We are loving the marble effect print.